Tricker, J., P. Landres, G. Fauth, P. Hardwick, & A. Eddy. (2014). 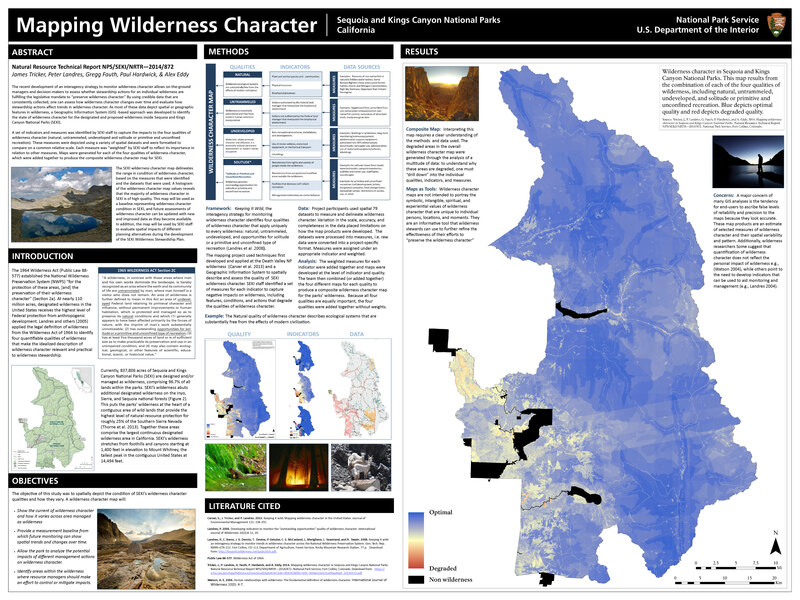 Mapping Wilderness Character in Sequoia and Kings Canyon National Parks. Natural Resource Technical Report, NNPS/SEKI/NRTR-2014/872. Fort Collins, CO. U.S. Department of the Interior: National Park Service. Found at: https://irma.nps.gov/App/Reference/Profile/2210052.